"With the F 125! we want to show that large, comfortable and safe saloon cars have an excellent future, partly because they are able to operate with no emissions. 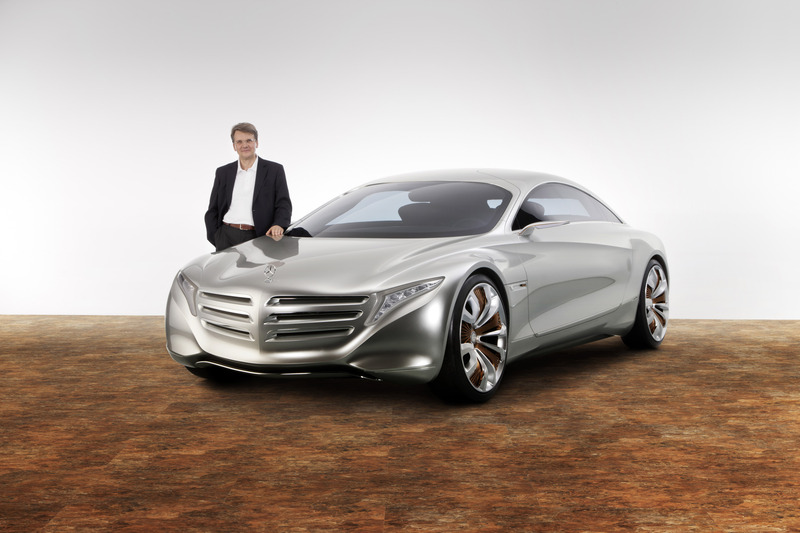 The legend that is the S-Class will continue into the future thanks to intelligent solutions that always have the customer's needs in mind," says Prof. Dr. Thomas Weber, member of the Board of Management of Daimler AG, responsible for Group Research and Mercedes-Benz Cars Development. 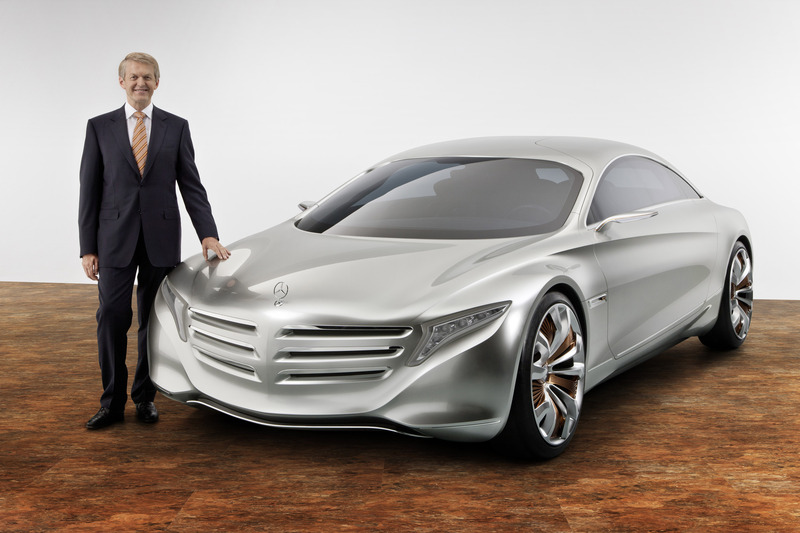 "The new research vehicle illustrates and underlines this claim to leadership with innovative ideas and traditional Mercedes strengths in the areas of design, safety, comfort and performance." Revolutionary tank technology: the structure integrated hydrogen composite storage unit. 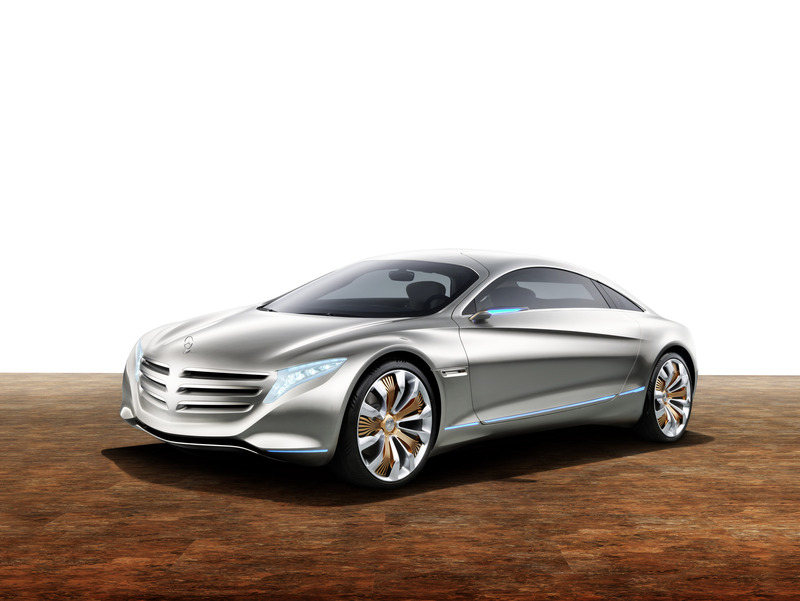 Lighter and more powerful batteries, in this case based on lithium-sulphur technology, which Mercedes-Benz is examining in parallel with further development of the current lithium-ion battery and research into lithium-air technology. Completely emission-free mobility with a range of up to 1000 kilometres, full day-to-day suitability, superior performance and first-class comfort. A bodyshell of innovative, lightweight hybrid construction with a high proportion of fibre-reinforced plastics and an intelligent mix of carbon-fibre, aluminium and high-strength steels, which allows a significant weight reduction while offering a further considerable improvement in safety. A high-strength construction with crash-responsive protective systems within the doors allows the omission of B-pillars, as well as the use of wide gull-wing doors which allow convenient access to the four seats. 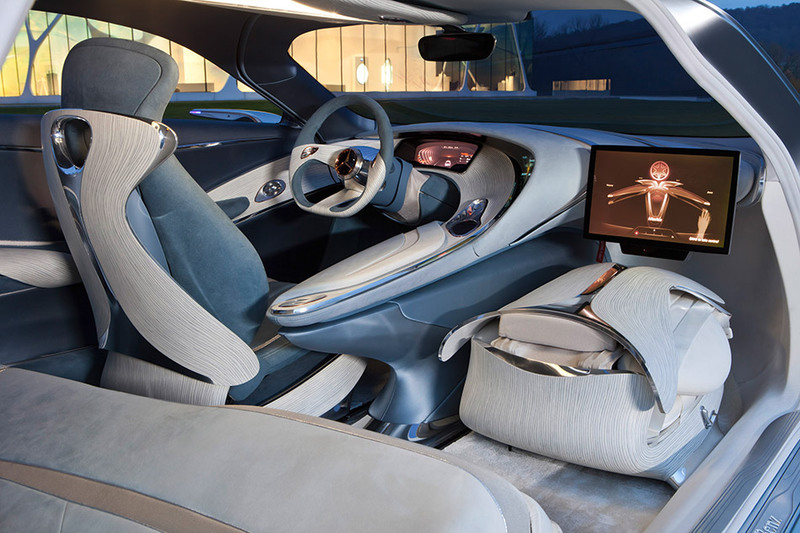 In this way the Mercedes-Benz safety philosophy and in particular the decisive principle of the rigid passenger cell developed by Béla Barényi in 1952 are being concertedly taken forward for the future of individual mobility. 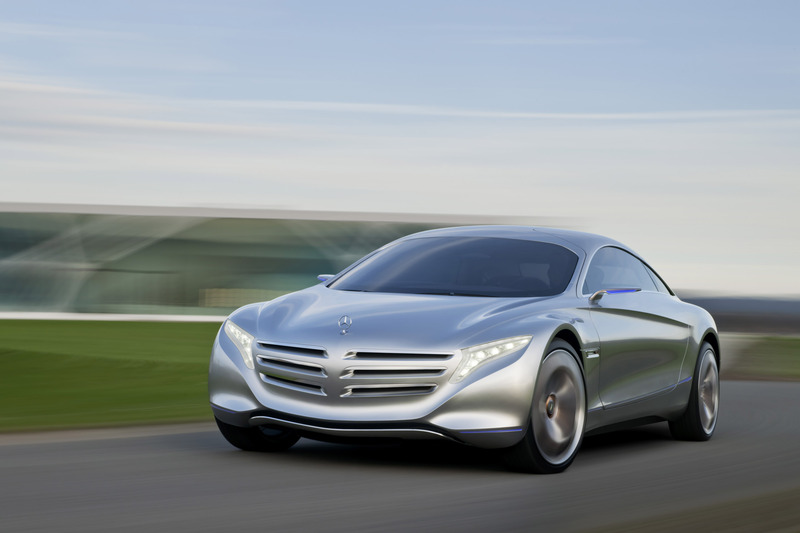 A high-voltage lithium-sulphur battery with a specific energy density of 350 Wh per kg at cell level, which allows considerably higher recuperation rates in combination with the e4MATIC all-wheel drive. 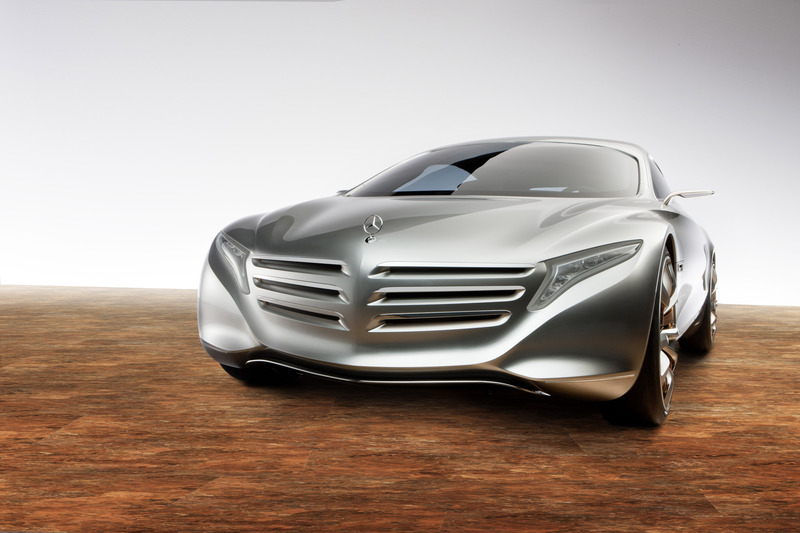 A control and display concept based on touch, speech and hand-gestures makes the F 125! a true "companion" with whom the driver is able to interact flexibly and effortlessly. 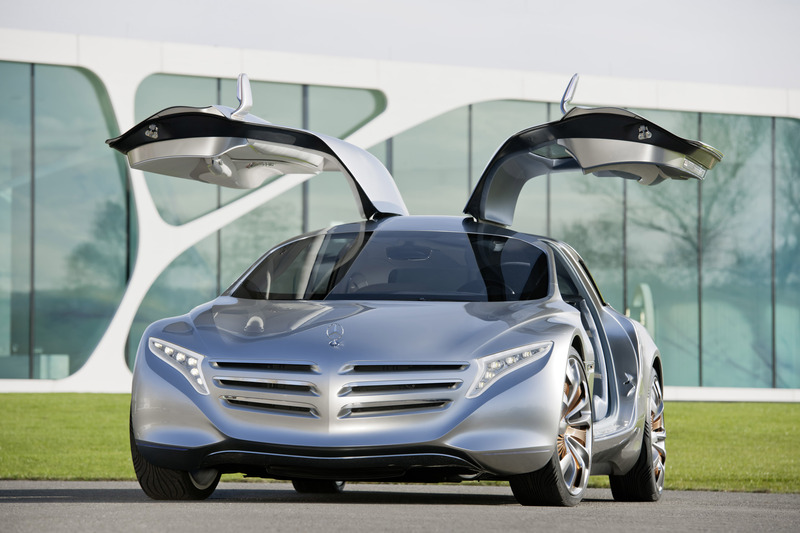 The gull-wing doors of light-weight CRP construction can also be opened and closed by hand-gestures. Highly attractive displays using 3D and projector-beam technology to open up new visual possibilities. Next-generation, substantially networked telematics allow internet-based voice control, integration into social media and extensive remote control of vehicle settings and entertainment functions. Innovative assistance systems for lasting driver stress relief, e.g. Advanced Driving Assist for semi-autonomous driving. 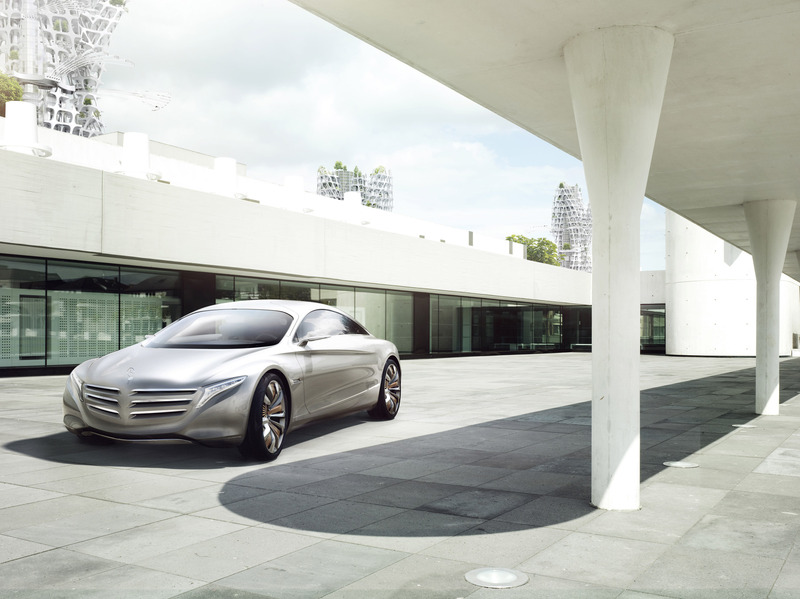 Trailblazing exterior and interior design based on a completely new saloon architecture. 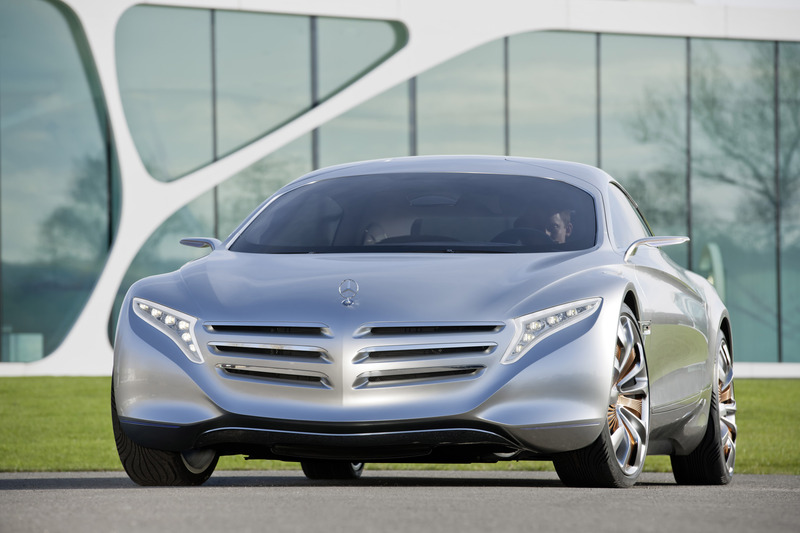 To store the hydrogen as the fuel of the future, Mercedes engineers adapted a technology which is still the object of basic research. This opens up completely new perspectives with respect to the vehicle architecture and operating range. "The structural integrated hydrogen composite unit of the F 125! represents a real technological revolution, as it allows the hydrogen tank to be fully integrated into the bodyshell structure for the first time. In the future, vehicles with emission-free fuel cell drive systems could achieve the operating ranges of current diesel models with no loss of interior space," says Prof. Dr. Thomas Weber. Based on the current level of know-how, Mercedes specialists consider it possible that they may develop this technology to series production level from 2025. The tank integrated into the floor assembly has a capacity of around 7.5 kg of hydrogen. Compared to the high-pressure tanks in use today, the H2 tank potentially requires less installation space. This is because to withstand a pressure of up to 700 bar, current tanks need to be cylindrical in shape, and owing to this round cross-section there are inevitably "cavities" between tanks installed next to or above each other. In contrast, tanks that can be filled at a pressure of 30 bar or less can be better integrated into the bodyshell. At the same time they are able to act as "structural" components. 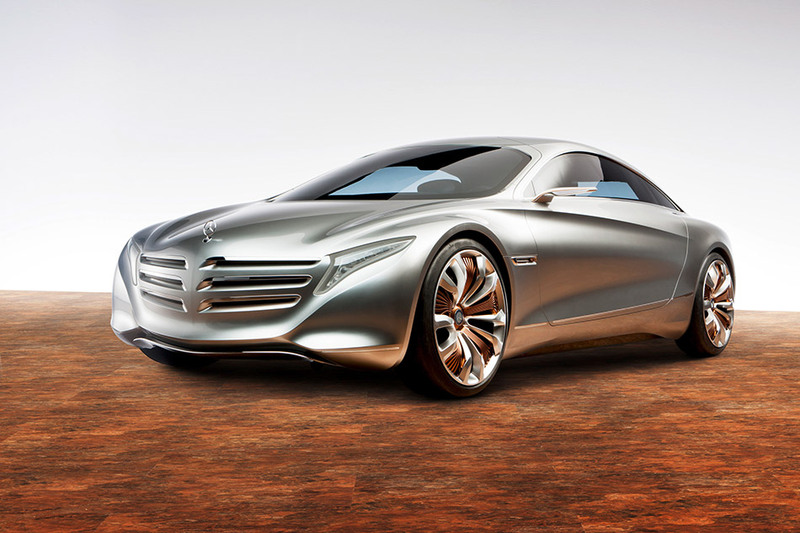 A highly advanced, very powerful lithium-sulphur battery is envisaged for the F 125!. It has a storage capacity of 10 kWh and is installed behind the rear seats. Combining the fuel cell drive system with the innovative lithium-sulphur battery makes a total operating range of up to 1000 km possible, of which up to 50 km can be under battery-electric power alone. It can be inductively charged at "intelligent" charging stations, and the convenient charging process can be monitored by smartphone. When designing the F 125!, the developers worked on the assumption that by the time of its introduction into series production, this battery type will be capable of energy densities up to 350 Wh per kg. This would represent roughly a doubling of current performance. The real potentials of this technology are however the subject of basic research, and are still difficult to assess at present. 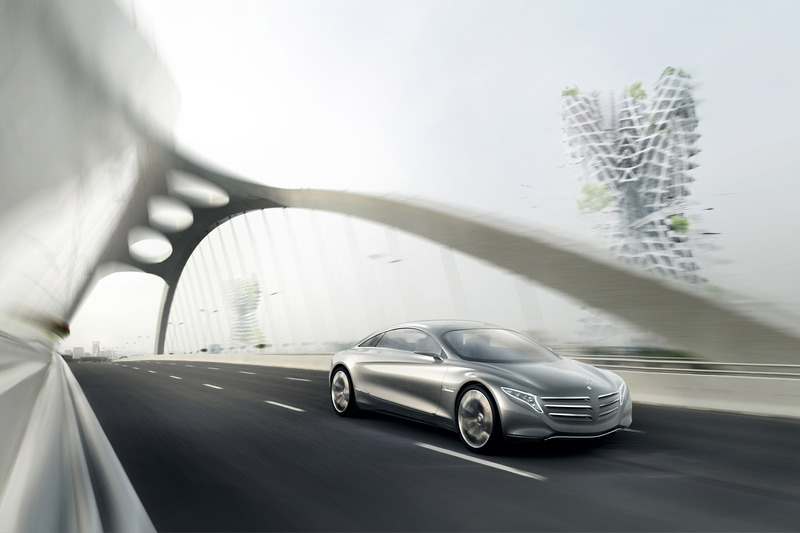 At the heart of the drive system lies a particularly powerful further development of the Mercedes-Benz fuel cell stack which has demonstrated its efficiency and day-to-day suitability e.g. in the successful B-Class F-CELL World Drive this year. 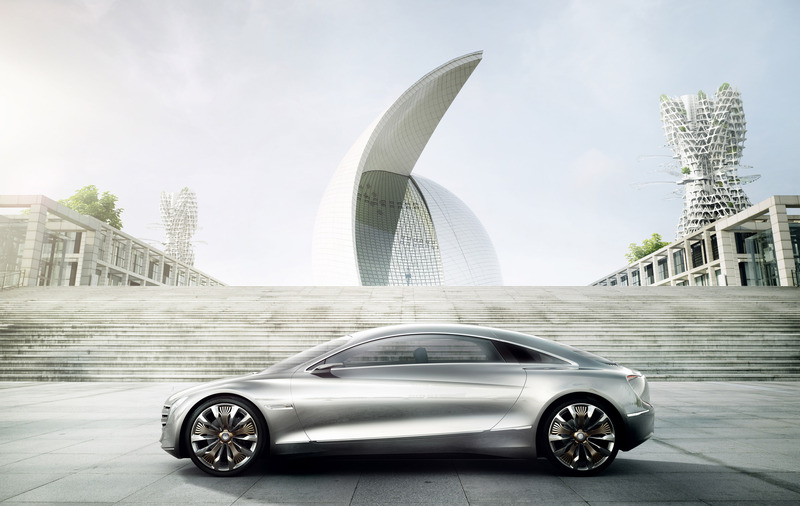 On 29 January, marking the 125th birthday of the automobile, Mercedes-Benz commenced the first circumnavigation of the globe with fuel cell powered electric cars in Stuttgart - covering more than 30,000 kilometres on four continents and through 14 countries. The three fuel cell powered B-Class cars and their backup vehicles returned safely to Stuttgart 125 days later. The stack in the F 125!, which is further improved with respect to performance, consumption and practical suitability, provides the power for four powerful electric motors installed near the wheels, which ensure sporty, superior performance figures. All in all the modular e4MATIC system, which also uses improved drive components from the SLS AMG E-CELL, generates a continuous output of 170 kW (231 hp) and a peak output of 230 kW (313 hp). This accelerates the F 125! to 100 km/h in 4.9 seconds, with a top speed of 220 km/h. Nonetheless, NEDC fuel consumption is only 0.79 kilograms of hydrogen per 100 kilometres (= 2.7 litres diesel equivalent). Always online, always connected: "@yourCOMAND"
In Natural Handling, operation is substantially by natural speech supplemented with touch and intuitive hand-gestures. In the interests of maximum driver-fitness and operating safety, the F 125! becomes the perfect, always alert companion for its driver and passengers. The possibilities go well beyond those of current systems. The driver can e.g. request news items that are tailored to his personal needs, and make specific, contextual enquiries, without removing his hands from the wheel. The COMAND of tomorrow also becomes proactive. In the future, the driver will be able to start with the traffic report or retrieve personal messages before the selected music programme begins. The weather report will then automatically come on before the journey ends, for example. Thanks to the mood-based configuration function "Moods", such individual adjustments will be completed in a matter of seconds in future. The F125! also opens up completely new dimensions when it comes to external commu-nication and the use of social networks. With the help of the Social Community Assistant, the driver alone can decide who is allowed to "disturb" him, or who receives information. Thanks to the Seamless Experience functions, the multimedia systems of the F 125! are seamlessly and cross-functionally networked, socially interactive and non-distracting. The exchange of information is no longer impeded or interrupted on journeys, but is an integral part of the concept. Because of constant connectivity with the Cloud, the driver has seamless access to all the media he normally uses. The tedious synchronisation of different communication and entertainment devices is also completely eliminated. The so-called "digital lifestyle" of many customers can therefore be continued both seamlessly and safely when on board. Sensory Perfection in the F 125! means high-end sound and high-resolution screens with brilliant, individual displays. If required, the autostereoscopic 3D display for spatial representation of the instrument cluster is able to show relevant information in clustered form. The 3D image adapts natural visual habits, allows a better overview and thus relieves the driver of stress. The head unit in the upper section of the centre console uses projector-beam technology, and is controlled via a touchpad with 3D fingertracking located within easy reach of the driver. In addition to the head unit, the integrated selection bar enables the instrument cluster and rear-view display to be selected. Activated in this way, these displays can also be centrally operated. A further, retractable 17-inch display is installed on the front passenger side, and this is fully controlled by hand gestures. In this way a rear passenger can select his personal film programme with no physical contact. A high-resolution wide-image display allows the entire traffic situation behind the vehicle to be conveniently monitored, and makes exterior mirrors unnecessary. The image is adapted to human perceptive powers at all times, and once again provides a much clearer overview with more rapid and intuitive registration of the relevant traffic situation. The vehicle and its multimedia system, as well as all applications and contents, can be completely remote-controlled using the Remote Convenience functions. This e.g. means that via the vehicle's specific homepage, authorised individuals have access at all times to information such as the fuel level, next scheduled service or fuel consumption. Just as easily, a home PC or of course a smartphone can be used for remote configuration of the onboard navigation or entertainment system, and to select individual interior temperature settings for each seat. With the help of innovative driver assistance systems, the touring saloon of the future defuses even "invisible" hazards and relieves driver stress in many standard situations. If the driver requires, the F 125! is able to carry out frequently occurring driving manoeuvres autonomously. Advanced Driving Assist allows lane-changes on multi-lane, one-way roads, and in a further development stage even automatic overtaking manoeuvres.Thanks to radio-based networking with the environment, so-called Car-to-X communi-cation, the F 125! is also able to exchange information with other vehicles, a specially equipped infrastructure incl. traffic lights or warning signs and traffic control centres. Specific applications might include a warning of approaching emergency service vehicles, well before the driver can see or hear them, a reminder that other vehicles have the right of way at obscure road junctions, or obstacles on the road. It was visionaries and dreamers who prepared the way for "automobility". The first tentative steps were taken at the end of the 19th Century – in a techno-logical environment where the steam engine dominated the world of power generation. The steam locomotive added motion to this machine, and tracks were laid everywhere. The idea of fitting coach-like vehicles with compact, fast-running internal combustion engines to make individual, easy and comfortable mobility possible beyond the railway tracks was seen as "utopian" at the time – i.e. synonymous with "science fiction" or "fantasy". Visionary engineers and utopians such as Carl Benz, Gottlieb Daimler, Wilhelm Maybach or Rudolf Diesel refused to be daunted, however. With the F 125! 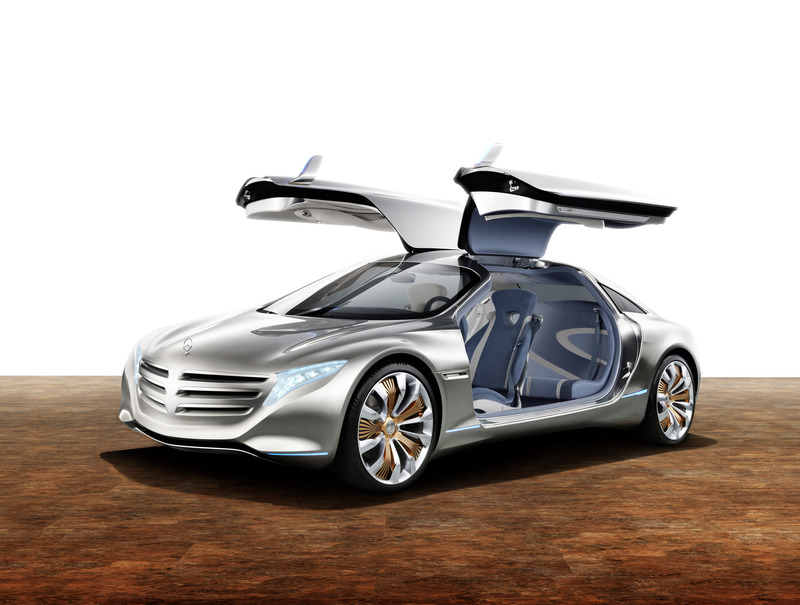 Mercedes-Benz is once again demonstrating this pioneering spirit. 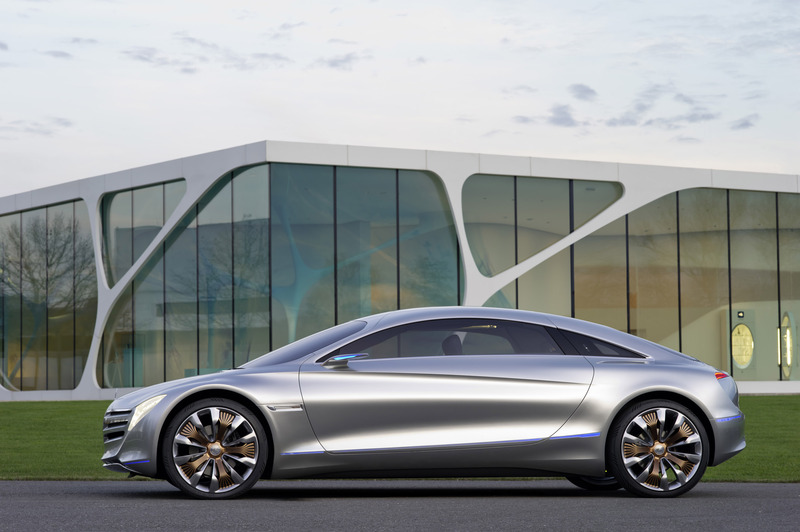 With the new Mercedes-Benz research vehicle, the vision of emission-free driving with large, luxurious automobiles takes on a concrete form. The F 125! shows that the mobility of the future is emission-free and sustainable, comfortable and visually very appealing. It embodies technical and design innovation, and shows the way towards a society able to cope without fossil fuels.